Despite the legal power of this term, however, terrorism remains undefined beyond a vague sense of "a non-state actor attacking civilian targets to spread fear for some putative political goal." 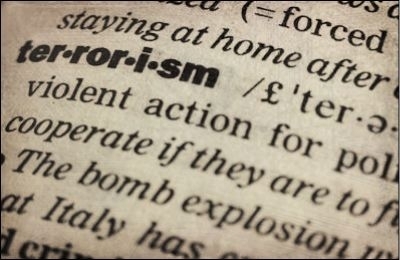 One study, Political Terrorism, lists 109 definitions. American security specialist David Tucker wryly remarks that "Above the gates of hell is the warning that all that who enter should abandon hope. Less dire but to the same effect is the warning given to those who try to define terrorism." The Israeli counterterrorism specialist Boaz Ganor jokes that "The struggle to define terrorism is sometimes as hard as the struggle against terrorism itself." This lack of specificity wreaks chaos, especially among police, prosecutors, politicians, press, and professors. "Violence carried out in connection with an internationally sanctioned terrorist group" such as Al-Qaeda, Hizbullah, or Hamas has become the working police definition of terrorism. This explains such peculiar statements after an attack as, "We have not found any links to terrorism," which absurdly implies that "lone wolves" are never terrorists. The whole world, except the U.S. Department of the Treasury, sees the Boston Marathon bombings as terrorism. If they are not terrorists, the police must find other explanation to account for their acts of violence. Usually, they offer up some personal problem: insanity, family tensions, a work dispute, "teen immigrant angst," a prescription drug, or even a turbulent airplane ride. Emphasizing personal demons over ideology, they focus on an perpetrator's (usually irrelevant) private life, ignoring his far more significant political motives. But then, inconsistently, they do not require some connection to an international group. When Oscar Ramiro Ortega-Hernandez shot eight rounds at the White House in November 2011, the U.S. attorney asserted that "Firing an assault rifle at the White House to make a political statement is terrorism, plain and simple" – no international terrorist group needed. Similarly, after Paul Anthony Ciancia went on a shooting spree at Los Angeles International Airport in November 2013, killing a TSA officer, the indictment accused him of "substantial planning and premeditation to cause the death of a person and to commit an act of terrorism." This terminological irregularity breeds utter confusion. 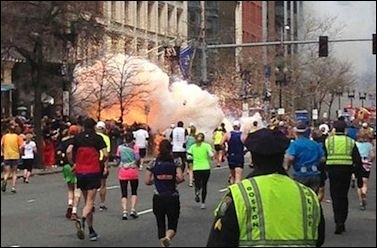 The whole world calls the Boston Marathon bombings terrorism – except the Department of the Treasury, which, 1½ years on "has not determined that there has been an 'act of terrorism' under the Terrorism Risk Insurance Act." The judge presiding over the terrorism trial in January 2014 of Jose Pimentel, accused of planning to set off pipe bombs in Manhattan, denied the prosecution's request for an expert to justify a charge of terrorism. 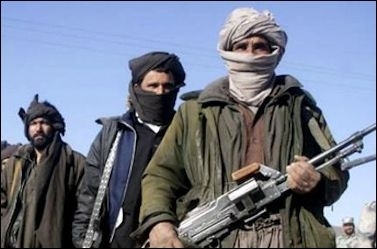 Government officials sometimes just throw up their hands: Asked in June 2013 if the U.S. government considers the Taliban a terrorist group, the State Department spokeswoman replied "Well, I'm not sure how they're defined at this particular moment." The U.S. Department of State has yet to figure out whether the Taliban are or are not terrorists. A May 2013 shooting in New Orleans, which injured 19, was even more muddled. An FBI spokeswoman called it not terrorism but "strictly an act of street violence." The mayor disagreed; asked if he considered it terrorism, he said "I think so," because families "are afraid of going outside." Challenged to disentangle this contradiction, a supervisory special agent in the FBI's New Orleans field made matters even more opaque: "You can say this is definitely urban terrorism; it's urban terror. But from the FBI standpoint and for what we deal with on a national level, it's not what we consider terrorism, per se." Got that? This lack of clarity presents a significant public policy challenge. Terrorism, with all its legal and financial implications, cannot remain a vague, subjective concept but requires a precise and accurate definition, consistently applied. Mr. Pipes (DanielPipes.org) is president of the Middle East Forum, where Teri Blumenfeld is a researcher.